Donald Trump is not the free market's executioner, but a coroner appointed to quietly confirm its demise. Sadly, in its place, is a gaping void of alternatives. 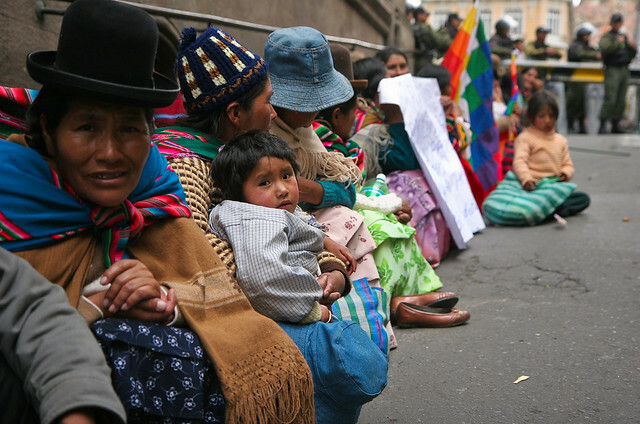 LA PAZ — The mad rush toward a world without borders and relentless squeezing of the nation-state in the name of liberating commerce is coming to an end. Before the gasps of the globalized elite, the near-religious conviction that all societies were bound to coalesce into a single economic, financial and cultural whole has collapsed. Globalization, as an overarching discourse or ideological horizon able to move collective hopes toward a single destiny and vision of material welfare has shattered into a thousand pieces. And there is no "global" alternative for now as far as collective hopes are concerned. What we have is a fearful retreat behind borders and a return to political tribalism in what is now a "no-man's world." Karl Marx was the first to examine capitalism's geographical dimensions. His 1847 debate with the economist Friedrich List on "national capitalism" and reflections on the impact of the discovery of California gold mines on trans-Pacific trading with Asia made him both a pioneering and a most eager student of globalizing processes under capitalism. His contribution is not in understanding the nature of the globalized commerce that began with the European invasion of America, but the inherently expansionist nature of capitalist production. The various types of the formal and effective subjugation of work to capital, which Marx reveals as intrinsic to the extreme dynamism of capitalist production, entail an increasing subjection of the workforce, social intellect and land management to the logic of wealth accumulation. While its first 350 years of its life where confined within state boundaries, capitalism was bound to spread and acquire continental dimensions over the past 150 years before becoming its more recent global expansion. Following the systemic-cycles models proposed by Italian sociologist Giovanni Arrighi, each cyclical phase of capitalist accumulation has been pushed by a hegemonic state: Genoa in the 15th and 16th centuries, the Netherlands in the 18th century, then Britain (19th century) and the United States (20th century). Each hegemon acted as a catalyst to globalization (firstly commercial, then productive, technological, cognitive and finally environmental) and to the territorial expansion of capitalist relations. Yet a distinctly recent development in this globalizing process is its construction as an ideological project or bid to unify the political beliefs and moral expectations of men and women worldwide. As an ideological proposition, globalization is just 35 years old. 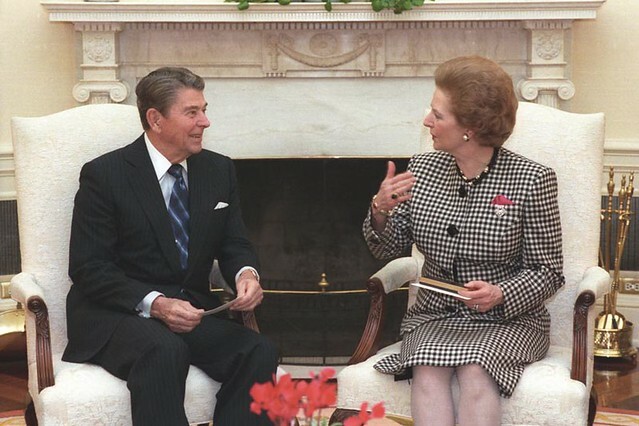 It began when U.S. President Ronald Reagan and British Prime Minister Margaret Thatcher proceeded to liquidate certain components of economic relations in place since the 1929 crash: the welfare state, public firms (privatized), trade unionism (nullified) and protected domestic markets (replaced with the free market). This was for sure the restoration and amplification of the economic liberalism of the 19th century, now with real-time market links, trade growth tied to global GDP and a key role for financial markets already existing in the 19th century. The difference between this and the 19th century cycle was that globalization now had an ideological, legitimizing role as the putative final destination of human aspirations. And it wasn't just conservative politicians who joined the chorus of praise for the free market, but also media, universities, commentators and social leaders. The collapse of the Soviet Union and the ideological transformation of socialists into rabid neoliberals, as Italian Marxist thinker Antonio Gramsci warned, marked the final, clinching stage of free trade's victory. And who could expect otherwise? The Soviet Union, capitalism's nemesis, was abandoning the fight after all. And others who'd been fighting for a different world were now, openly or implicitly, reneging on their ideals and proclaiming globalization's superiority over state socialism. It seemed the perfect ending for a script as "natural" as life itself: the world's irreversible progression toward absolute business freedom. The End of History coined by Francis Fukuyama had all the ingredients of a modern ideology, not to mention a Biblical prophecy: its universalism, opposition to another demonized, universal project (communism), its heroic victory (ending the Cold War) and final conversion of the unbelieving "hordes." With history attaining its liberal objective, there were no opponents left to fight, nor a world to fight for. It was now about adjusting, administering and perfecting the present and only world. No struggle was worth its strategic trouble since all efforts to change would finally surrender to humanity's unshakeable fate: globalization. That produced the passive conformism that has engulfed all societies and classes, which have given their moral consent to the dominant discourse. Today, as the last fireworks of the end-of-history party fizzle out, it seems the celebrating victor has died and left the world with neither triumph nor an alternative on the horizon. Trump is not the free market's executioner, but a coroner appointed to quietly confirm its demise. The first glitches in the globalization ideology appeared in Latin America in the first years of the 21st century. Workers, city proletarians and indigenous rebels ignored the end-of-class-war manual and joined to win state power. Combining parliamentary majorities with mass action, progressive and revolutionary governments implemented a range of post-neoliberal options that showed the free market to be an economic perversion liable to be replaced by economic management models that could more efficiently reduce poverty, and generate equality and economic growth. They began to make the End of History seem more like a planetary con job — setting the wheel of history, with its contradictions and multiple options, back into motion. In 2009 in the United States, President Barack Obama had to cart out the state — that vile, anti-business monster — to partially nationalize the finance sector and save private bankers from bankruptcy. The private sector's supposed efficacy in handling people's savings was left in a disgraceful heap. The economy and global exports then began to slow. And now, a handful of years later, British and American voters have tipped the balance back toward the protectionist — not to mention fortified — state, and revealed the disgust of people around the world with global trading's devastation of productive economies and relentless blows to the middle class. Today, globalization no longer represents the yearned-for paradise nor the supreme vision of family welfare, and those same countries and sectors that preached its wonders decades ago have become its chief detractors. We are seeing the demise of the biggest ideological trickery of recent centuries. Yet, its moral cost and the social frustrations have themselves become an obstacle to finding immediate alternatives to globalization. As an ideology, globalization triumphed over the alternative of state socialism, or state control of means of production, a single ruling party and an economy planned from above. A single, triumphant path emerged, only to die today and leave humanity without direction or certainty. It is not so much the end of history as the end of "the end of history." Or simply, the void that follows a period of history. Capitalist countries must today face pervasive disenchantment, inertia and doubts in a time when, as murmured by Macbeth: "what seem'd corporal melted as breath into the wind." But necessarily, this is also a fertile time because the world will not be ordered with inherited certainties. New certainties must be created with the chaotic particles of the cosmic cloud emanating from the death of past discourses. Which future will mobilize social passions? Any is possible and none is certain for now, but the "common," the communal and the "communistic" provide possibilities hidden within the actions of people and their essential, metabolic relationship with nature. No human society could rid itself of hope, nor humans, of a future horizon. Obliged to build one today, it is the shared and common traits of society that can lead us to design a destiny different from the erratic capitalism that has suddenly lost all faith in itself.